messages over Whats-app start to come in. 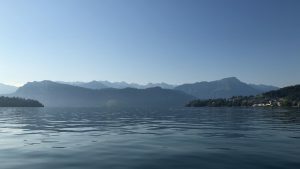 It is Daniel Altmann that is fishing in Lake Lucern, Switzerland. I envy him in this beautiful calm landscape. I start dreaming about going out, being on lakes, in weather, close to nature. But alas, back to work! After a few hours Daniel shares an amazing video with us. 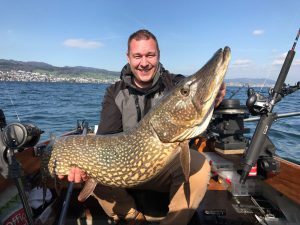 A giant pike is striking at his lure! I can’t believe this is happening just a few moments ago! And we get to share Daniel’s excitement with him. The footage is excellent and check out the speed with which the pike strikes! Do you have a story to make us dream of better days? Contact us! If You have clips to share, you can upload them here. mind. I love talking to him with his Italian accent and passion for what we do. Sometimes he asks me to correct his English on his FB posts, and I do, other times he gets carried away and posts straight to FB with his own English. And those are the posts I love the most. From the heart, as they are, with the Italian accent heard in the spelling and structure. Vibrating of passion for the Sea, for fishing, for Spydro. 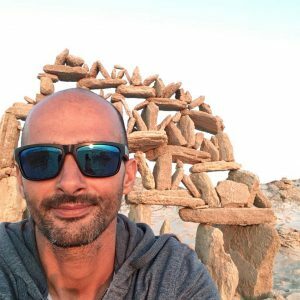 Mirko has another amazing talent, and that is his video making. A real artist. Truly mesmerizing videos and informative to! I wanted to share this latest with you. It goes through all of the fishing techniques were you can use Spydro and the features that go with them. Enjoy! What fishing techniques do you like the most? Spydro will be with you all the way and capture every exciting moment of the strikes and bites!Check this video out for Spydro features for every technique! !thanks to: Eric Liorio, Italo Labignan, Mirko Serra, Samuel Elgrishi, Andres Orts, Daniel Altmann. How many times have you geared your kids up for a day out fishing and come home with nothing? I have, too many times, and my heart sinks. Both for the disappointment of my kids, but also because I really want them to get hooked. Enjoy the wait, the thrill and the catch. I just love to see those proud faces and big smiles. Memories for life that add to self confidence and the feeling of mastery! One of our customers sent us this video and I immediately thought “I bet he tried to get the kids excited!”. I don’t know, maybe he was just testing the camera. 🙂 I love the footage though; Barramundi just waiting to be caught somewhere in Australia. There is no technology today that can transmit images wireless from under water. We use wi-fi to stream videos to your mobile phone, and wi-fi doesn’t work under water. Nor does Bluetooth. The power of using wi-fi though is that you do get a pretty long range (150 ft.) when putting Spydro on a floater. 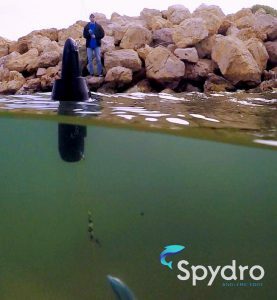 The wi-fi antenna is located at the tail of Spydro and will transmit to your mobile phone when above water. Spy for fish and checkout conditions! Denmark is a country surrounded by water with a long history of fishing. Anglers there are many and fishing styles plenty. So when Smaabaadsnyt approached us to test Spydro we got very excited. Smaabaadsnyt is a magazine for boat owners and features great articles on what to do when out on your boat. 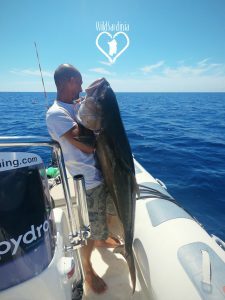 Fishing is of course one of their prime topics and getting to know what goes on under water just ads that extra dimension to the adventure ! Have a look at the stunning photos and videos the Smaabaadsnyt team created when featuring Spydro!